Our WordPress support for training institute like Imarticus Learning involves 25 hours of development support in addition to other WordPress maintenance activities. 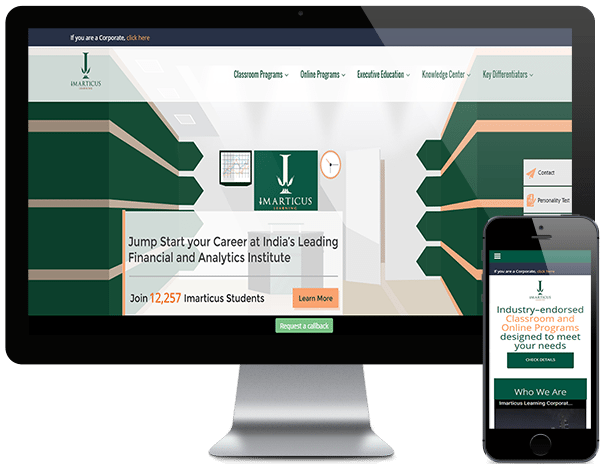 Imarticus Learning is a leading professional education institute, offering certified industry-endorsed training in Financial Services, Investment Banking, Business Analysis, IT, Business Analytics & Wealth Management. We use Freshdesk and Slack to manage and respond to tickets filed by clients like Imarticus. The customer is able to view our responses, share files and also see the progress with the number of hours that is updated for each ticket.